Welcome to the Friends of the Juneau Public Libraries’ website! The Friends of the Juneau Public Libraries is a non-profit organization that assists the library with special projects. Funds raised by the Friends go toward special gifts and grants to Juneau’s three municipal library branches. The group raised over $1 million to help pay for the new Mendenhall Valley Public Library which opened at the Dimond Park location in 2015. Previous donations include $35,000 for furnishing the downtown library, raised through the sale of the name tiles gracing the upstairs entry way. The Friends operate “The Amazing Bookstore” in the Airport Shopping Center. The bookstore offers secondhand books at bargain prices. All profits go to support the Juneau Public Libraries. Friends also sponsor the annual summer reading program, the annual bookmark contest, and the Authors-to-Juneau series. 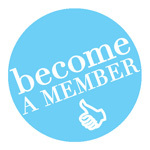 You can join the group as a supporting member or an active member. Supporting members (unless they request otherwise) will be listed among those who financially support our public libraries. Active members volunteer to participate in various Friends activities. Our logo, the raven was donated by Juneau artist and former librarian/library director Dale DeArmond. The Friends group formed at her urging during her tenure as library director.